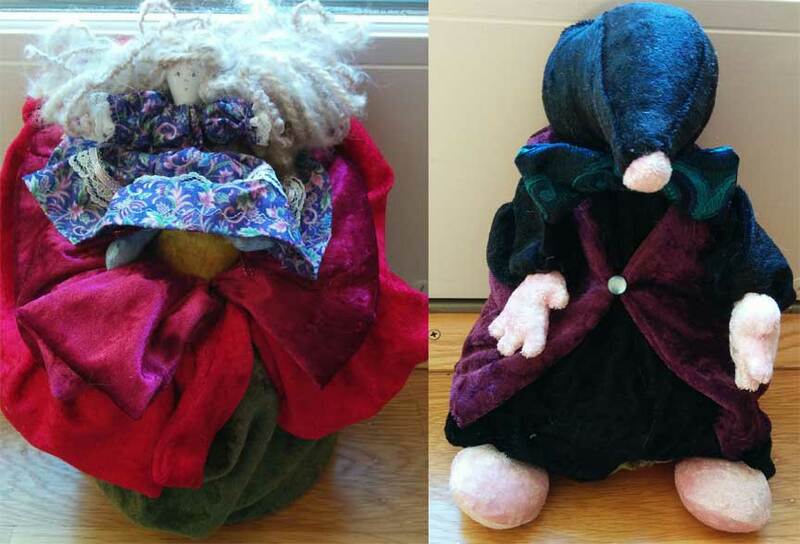 The latest custom doll was a Thumbelina and the Mole reversible doll (Thumbelina sits in her flower, and actually is a separate doll, but the flower turns over to reveal Mr. Mole). They went home to San Francisco just in time for Christmas! January is already packed with some patients who came in in December knowing they wouldn’t have surgery till January, and many more coming in after spending the holidays at home with their people. There’s a giant Snoopy getting a spa, a monster in pieces, a few spotted dogs, and 20 some-odd others all in various stages of healing. All have resolved to stay away from washers, dryers, and family pets in the new year, and to provide lots of hugs to their people.